A bundle so packed full of fantasy, we needed the elves to assemble it. 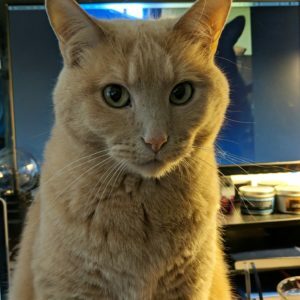 If you’ve ever heard of Humble Bundle, you’re probably already familiar with the idea of paying what you want and getting 5+ excellent games while donating to charity. Story Bundle is similar in that regard, only for books! 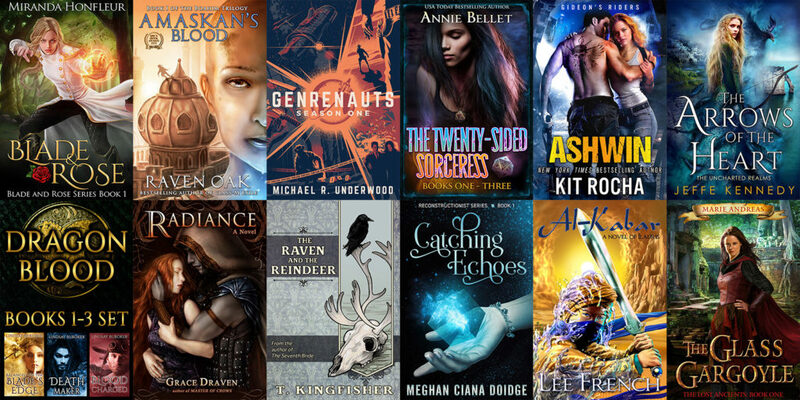 From January 23rd thru February 14th, you can snag up to 19 fantasy novels by 12 SFWA authors for whatever you’d like to pay. You can even set how much of your payment goes to the authors. It’s a pretty awesome way to snag some new books! Available titles in the SFWA Fantasy Bundle! More information from the curator on the bundle, which includes Amaskan’s Blood! StoryBundle is a way for people to discover quality written books. You know how it’s always hard to find something good to read? StoryBundle can solve that. We take a handful of books and group them together to offer as a bundle. Then you, the reader, take a look at the titles we’ve chosen and decide how much you’d like to pay. We mean it; you set the price that you pay for the primary titles or kick in a little extra and reap the bonanza with all the books! Blade & Rose by Miranda Honfleur: Miranda Honfleur’s Blade & Rose’s begins with a mismatch romance and blossoms into an adventure that is nothing short of epic. Rielle earns the title of kickass Heroine over and over again despite her flaws. Amaskan’s Blood by Raven Oak: A fantasy adventure with a sharp edge. I hope you find Adelei and Ida as compelling lead characters as I did. There’s so much going on, don’t try to skim this book. Read it and savor it like a well-aged single malt Scotch. Genrenauts, Complete Season One by Michael R. Underwood: Genrenauts is a tough book to classify. Its heroes don’t simply exist within a story, they travel into stories! Trouble is they have to edit them from the inside while dodging bullets figurative (romance world) or real (hello, sci-fi world). Strap in for a meta adventure to save the Tropes! The Twenty-Sided Sorceress, Books 1-3 by Annie Bellet: A fantastic deal, the first three books in Annie Bellet’s wildly popular, bestselling Twenty-Sided Sorceress urban fantasy series, this omnibus includes Justice Calling, Murder of Crows, and Pack of Lies. 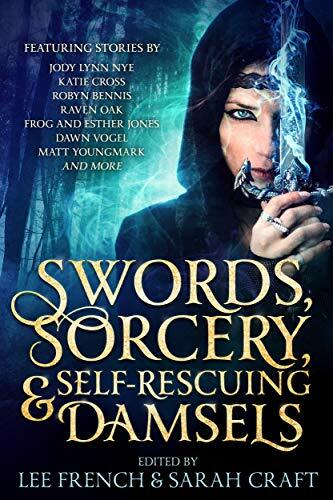 With a deft and original interweaving of role-playing games and magic, this series has delighted and captivated readers. Ashwin by Kit Rocha: Kicking off a new phase in the epic and much-loved post-apocalyptic urban fantasy cycle by Kit Rocha, Ashwin introduces the people of Sector One, and the ragtag collection of misfits seeking shelter there—and absolution following terrible deeds. With a brotherhood of guardian warriors, priestesses and healers, this story takes readers on a blood-stirring ride for redemption. The Arrows of the Heart by Jeffe Kennedy: This is a beautifully crafted tale of love and sacrifice. The poignant duet between magic and mundane echoes from the first page to the last. I’m not a fan of shifter romance, but this lush fantasy goes so far beyond werewolves that I’ll be watching for the sequel. The Dragon Blood Chronicles by Lindsay Buroker: A delightfully entertaining tale drawing together the worlds of magic and steampunk into a romantic adventure. The characters pull you into their story and help you lose yourself, as you imagine watching them triumph over adversity, finding love along the way. Radiance by Grace Draven: Grace Draven’s brilliant, bestselling opening to the Wraith Kings fantasy romance series has dazzled readers with its tale of a human woman married to a Kai warrior. She learns to find a way past his razor sharp teeth and fearsome claws and together they forge an alliance that provides a guiding light for both their peoples. The Raven and the Reindeer by Ursula Vernon: Ursula Vernon’s writing under her adult pen-name T. Kingfisher continues to prove why she is among my favorite authors with The Raven and the Reindeer. This retelling of the classic Snow Queen fairy tale is equal parts humor and pathos with character that are sheer delight. Catching Echoes by Meghan Ciana Doidge:Meghan Ciana Doidge deftly manages to create a world with depth and color that clearly shows the stories going on just out of sight, just like the real world. This book is easily one of the most captivating urban fantasy novels I’ve read in years. Al-Kabar by Lee French:Lee French’s Al-Kabar is a rollicking adventure fantasy set in a richly imagined world inspired by medieval Arabia. Fakhira must like the phoenix rise from the ashes of her village and learn to harness the powers bequeathed to her by the mysterious Waters. Action and romance in a unique desert setting! The Glass Gargoyle by Marie Andreas: Marie Andreas writes a raucous and exciting world that grabs you by the shirt and drags you into the bar brawl the protagonist’s life has become. This book and the characters in it don’t let up, so hang on. Snag your copy of this Story Bundle Today at www.storybundle.com/fantasy! Available until February 14, 2019! SFWA is an organization for published authors and industry professionals in the fields of science fiction, fantasy, and related genres. Founded in 1965, SFWA informs, supports, promotes, defends, and advocates for its members. We host the prestigious Nebula Awards at our annual SFWA Nebula Conference, assist members in legal disputes with publishers, offer the Speakers Bureau, administer grants to SFF community organizations and members facing medical or legal expenses. 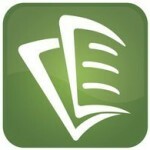 Novice authors benefit from our Information Center and well-known Writer Beware site. 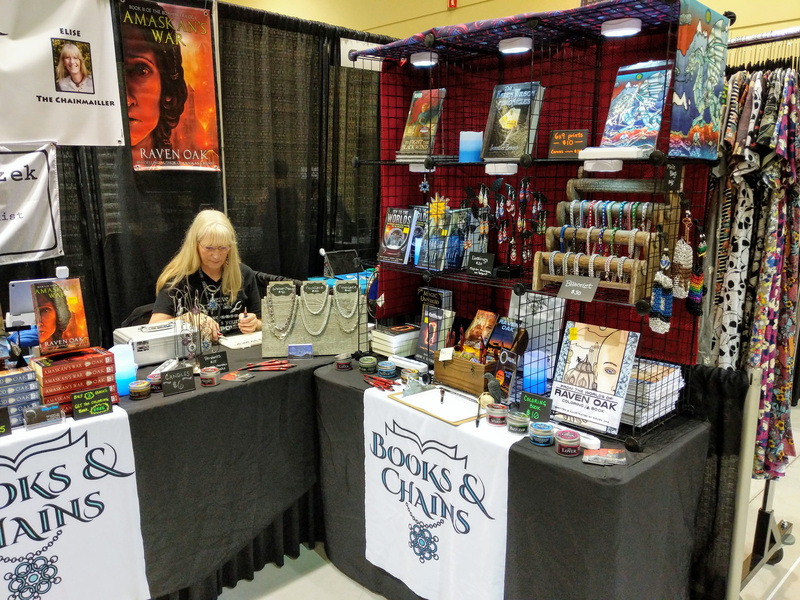 Between online discussion boards, private convention suites, and a host of less formal gatherings, SFWA is a source of information, education, support, and fellowship for its members. SFWA Membership is open to authors, artists, editors, and other industry professionals who meet our eligibility requirements. 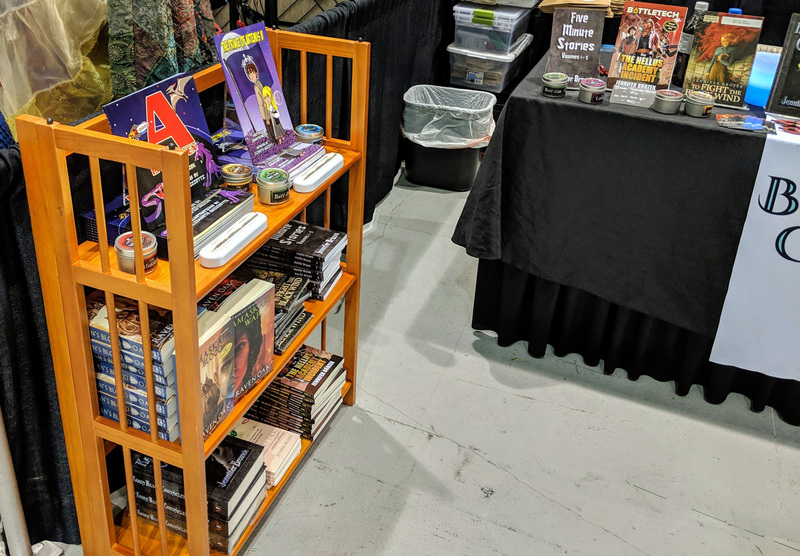 For more information, review requests, or interviews, please email Daniel Potter, the SFWA Self-Publishing Committee chair at [email protected]. The storybundle will be available from January 23rd thru February 14th. I want to talk for a minute about decluttering responsibly because I feel like that’s not happening right now. 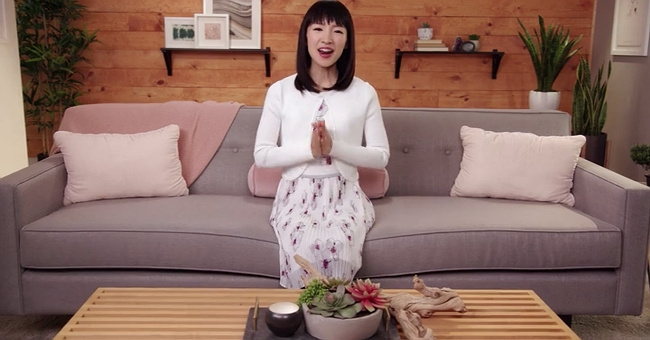 Everyone from your parents to your neighborhood mail-person is decluttering their homes after watching the new hit Netflix show, Tidying Up with Marie Kondo. I will admit that I’ve always had a love/hate relationship with purging clutter from my home. Part of that comes from moving A LOT. In my forty-one years on this planet, I’ve rarely lived anywhere for longer than 2-3 years at a time. My husband and I have lived in Seattle for 6 years, during which we’ve moved four times. With that much moving, you learn to live lighter than most people, and if you do accumulate belongings, you learn to purge them from your life before or after a move. The above koala bear is 50 years’ old. He was my aunt’s before she gave him to me. I found him while unpacking during our last move. 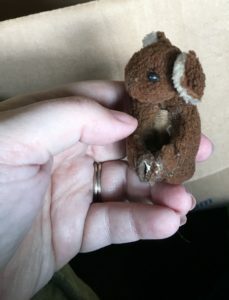 He was a bit worse for wear after the years, but seeing him brought back fond memories of my grandmother’s house in Michigan. Despite keeping him for 37 years, I didn’t regret throwing him away last move. He was literally falling apart in my fingers. Besides, the memories would continue to live in my brain. 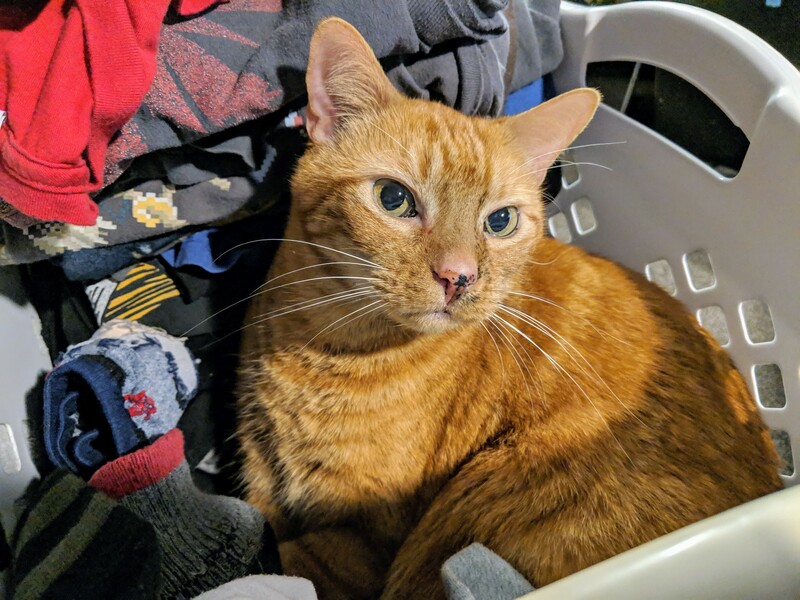 Along with him, I threw out many objects we didn’t need in our lives, and as spring approaches, I find myself decluttering our home once again. I tell you this to say that I’m guilty of the problems I’m about to discuss. If I’m to continue to declutter responsibly, I need to be willing to admit when I mess up. As should you. We make money in order to buy more cheap, plastic stuff from Wal-mart or Amazon, only to “purge” it 3-6 months down the line and claim themselves a changed person–at least those of us not entrenched in abject poverty. We’re materialistic to a fault, and that doesn’t change with a decluttered house. But is this our fault? Fashion trends encourage us to get what’s IN this season and toss out what’s not in vogue anymore. Clothing made cheap doesn’t last so even if we ignore fashion trends, we’re tossing our clothing in 6 months if we’re lucky because repairing torn seams is time consuming. If the TV breaks, it’s cheaper to buy a new one rather than repair the old one. Technology changes fast these days. It often feels like we’re forced to buy a new phone every few years due to the creation of failing tech that dies a few months out of warranty. We are encouraged to buy new because it’s shiny! Many of the show’s episodes demonstrate our need for more stuff. Several participants had enough clothes to several rooms, some of which had never been worn or had only been worn once. The shopping tags were still attached to clothing hanging in their closets. What sort of privilege do we have that we can buy clothes we will never wear, while some people lack a basic winter coat or shoes? Self-examination must be a part of our decluttering. If you’re throwing something away, ask yourself why? Is it worn out or did you never need it in the first place? Examine why you buy objects–what purpose do they serve in your life? Sure–go ahead and ask if they will bring you joy to own them. I’m not saying you can’t buy that Wonder Woman Funko Pop if it makes you happy, but if you buy it, how long will you keep it? Will looking at this Funko Pop add meaning to your life, and if so, how? Examine your purchase habits and see if you can spot moments of weakness where you bought something in order to fill an emotional need. Another part of our decluttering is the examination of where our clutter goes. When we drop our clothes off at Goodwill or in the little green or blue bins scattered around town, we love to imagine that someone in need in our neighborhood will give our clothing a second life, but the reality is, most of our clothing is exported elsewhere where it is recycled or resold, often to the detriment of that country’s natural economy or ecological system. In fact, due to our stuffed closets and fast, cheap fashion ideals, Americans donate far more textiles to charities than can actually be sold at those charities. “According to the Council for Textile Recycling, 80 to 90 percent of donations to charities are sold to recyclers. From there, 45 percent is exported for reuse — mainly in Africa and Asia — and about 50 percent is recycled” (Source: Ready-to-Waste: America’s Clothing Crisis). Even worse, those that don’t donate, end up throwing their clothes away. 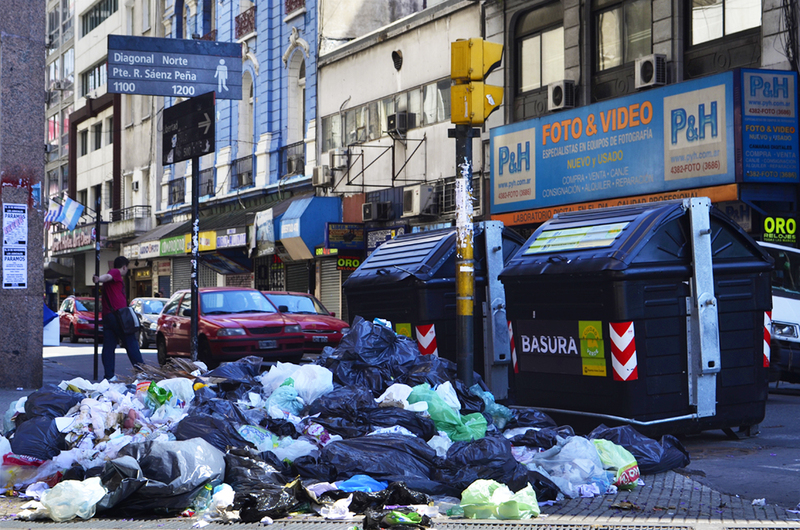 It’s reported that 9% of a city’s solid waste is clothing that could have been donated. The average American throws away “81 pounds of clothing every year.” That’s a small child, folks. Of course, this doesn’t get into the electronics, books, magazines, toys, and other things you might get rid of during your declutter. Rather than tossing an old pair of glasses, donate them! Look up where you can recycle electronics rather than sticking them in the trash. Check out if the local library could use your books or the local prison. (Yes, prisons absolutely need and want your books!) See if there are women’s shelters in the area that have need of your castoff’s or if the local children’s hospital could use your games/toys for those stuck there for medical treatment. Decluttering responsibly is more than asking if an object “sparks joy,” then thanking it and tossing it into a trash bag. Way too many of those on the show had trash bags of stuff lining their curbs rather than donating! Like them, too many of us throw objects away without thinking about where our trash goes or who we could be helping by donating the object. But this step is only half the battle. We should also be asking ourselves what more we can do as a society to buy and consume less, to break our habits of buying what we don’t need to live fulfilling lives. Now go clean out your pantry for your local food bank. P.S. Marie Kondo has been around long before the Netflix show. She may have even addressed these issues in her books. I’ve not read them, so I don’t know. I can only speak to my thoughts after seeing the show. Declutter responsibly. This is my 2018 in Review. As 2018 draws to a close, it’s time for me to look back at what I’ve accomplished this year. It’s not as much as I’d planned, but all things considered, it’ll do. Words Written: 276,340. Almost half of this was a complete rewrite of a novel. Books Published: 2—Amaskan’s War and From the Worlds of Raven Oak: A Coloring Book, both of which are eligible for 2019 awards. I’d been aiming for 3, but delays happen. Short Stories Submitted: 4. The stories racked up a total of 15 rejections, 3/4 of which were personal rejections. Progress! Books Read: 25–Fiction: Firefly Encyclopedia by Monica Valentinelli, All Systems Red by Martha Wells, Naughty on Ice by Maia Chance, When She Woke by Hillary Jordan, Kangaroo Too by Curtis C. Chen, Lovecraft Country by Matt Ruff, Daughters of Destiny collection by multiple authors, Never Let me Sleep by Jennifer Brozek, Never Let Me Leave by Jennifer Brozek, Never Let Me Die by Jennifer Brozek, Gin and Panic by Maia Chance, Blood Orbit by K. R. Richardson, Bad Neighbors by Maia Chance, The Hate U Give by Angie Thomas, Simon vs. the Homo Sapiens Agenda by Becky Albertalli, Bad Housekeeping by Maia Chance, Trail of Lightning by Rebecca Roanhorse, The Guernsey Literary and Potato Peel Society by Mary Ann Shaffer, Deja Dead by Kathy Reichs, Death Du Jour by Kathy Reichs. Conventions/Events Attended: 8. This would have been ten if two conventions hadn’t exploded and died fiery deaths. One of the most important accomplishments of the year was how I better managed my auto-immune diseases. It’s still a learning process as we figure out what meds work for me, but beyond that, management means learning to ask for help when I need it and recognizing my limitations. I’ve been a strong person all my life. In fact, I’m usually the one helping others, so asking for help and admitting that I need it, is incredibly difficult for me. While I have work left to do, I’ve made great strides this year on this front, and I’m proud of that! Write and revise at least three short stories. Submit for publication. Listen to F*ck That meditation (or equivalent) once a week so I laugh more. And to kick off laughing more, here’s Riley making a bed out of the clean laundry. Today in many areas of the world, it’s Christmas, which is one of my favorite holidays. Growing up, Christmas was complicated in much the same way that Thanksgiving was. 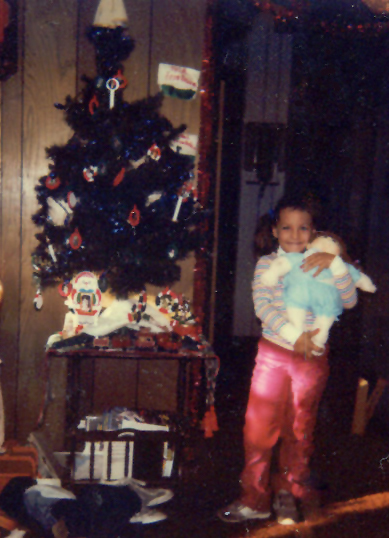 We were poor and for a good chunk of my childhood, Christmas presents were sparse. Our fake-plastic tree was gaudy, but ours. In many ways, Christmas was a disappointment to child-me because it didn’t resemble the Christmases of the movies. There was no beautifully decorated, real evergreen with its bounty of presents, nor was there snow on the ground in Florida or a huge family dinner. Child-me missed the point of the holidays, but that’s not unusual for a child. I found the holidays lonely and thus, overrated. Adult-me is a completely different person when it comes to the holidays. Much like Thanksgiving, I’ve vowed to create memories during the holidays with my family. 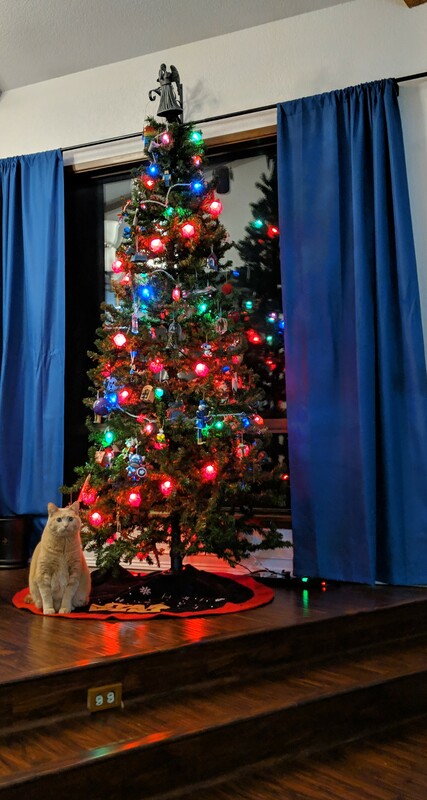 The day after Thanksgiving, my husband and I, with the unneeded help of our cats, put up our tree. 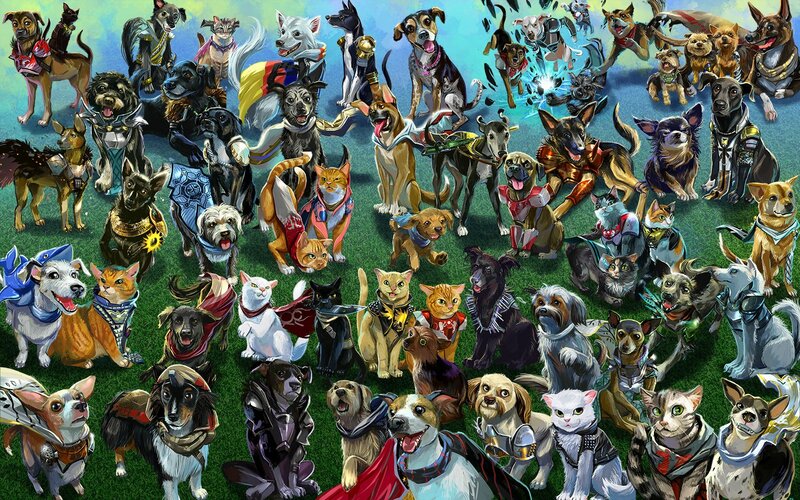 It’s fake (real ones can be harmful to cats if they chew on the needles or bark), but it’s us. 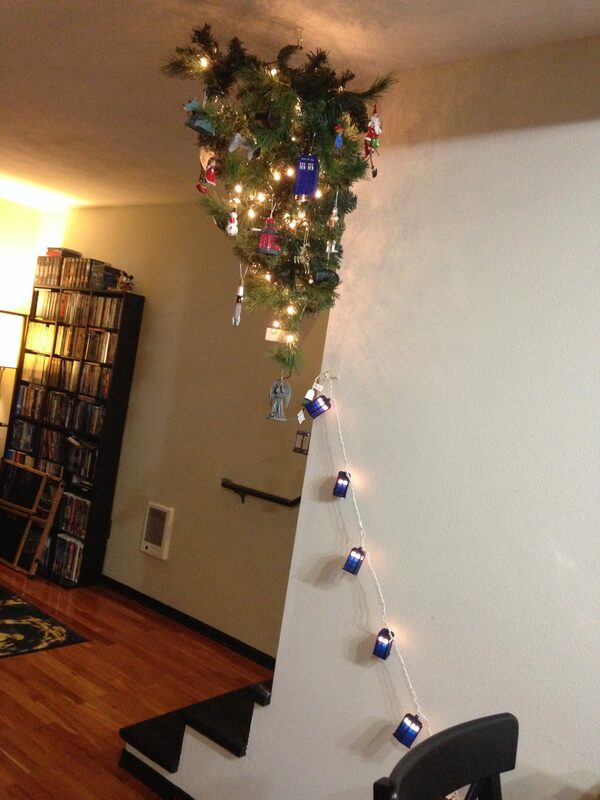 The lights are made from D20’s (dice) and other geeky objects, as are the ornaments. Everything from Star Wars and Star Trek, to Harry Potter and Destiny decorates our tree. We have a few non-geeky ornaments, including once from our first Christmas together, twenty-two years ago, and each ornament is a memory. Christmas 2014, when we hung a tree from the ceiling because cats. I’ve grown to love the holidays for what we make them, though I know they can be difficult for many folks. One of my friends lost her cousin last week, an event that will forever color the holidays for her. I know my husband often thinks of his deceased mother during this time, but these too are memories that form and shape our lives. Speaking of my husband—he goes on vacation on my birthday, December 21st, and thus, I will join him on a much needed vacation at home for the holidays. I hope that like me, you find ways to make memories this holiday season and find time to relax as well. After all, ’tis the season of naps, good food, and kitty snuggles! Whatever you celebrate, happy holidays to you and yours! Malley under our Christmas tree, 2018. Happy Solstice! Happy Shortest Day of the Year! And yes, it’s my birthday! Growing up in poverty, I can count on one hand the number of actual birthday parties I had, some of which were shared with other December babies to cut down on the cost. Me, age 9. Our upstairs neighbor made me a birthday cupcake. 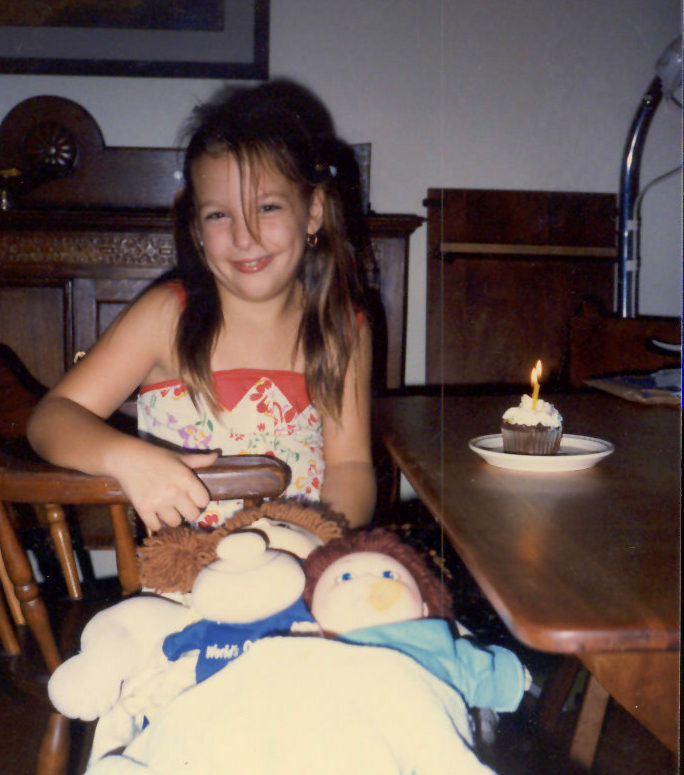 As a child, it bothered me as I didn’t understand poverty or why my birthdays were sometimes the way they were, but a lot of that changed as I got older and made friends who were willing to make my days special. 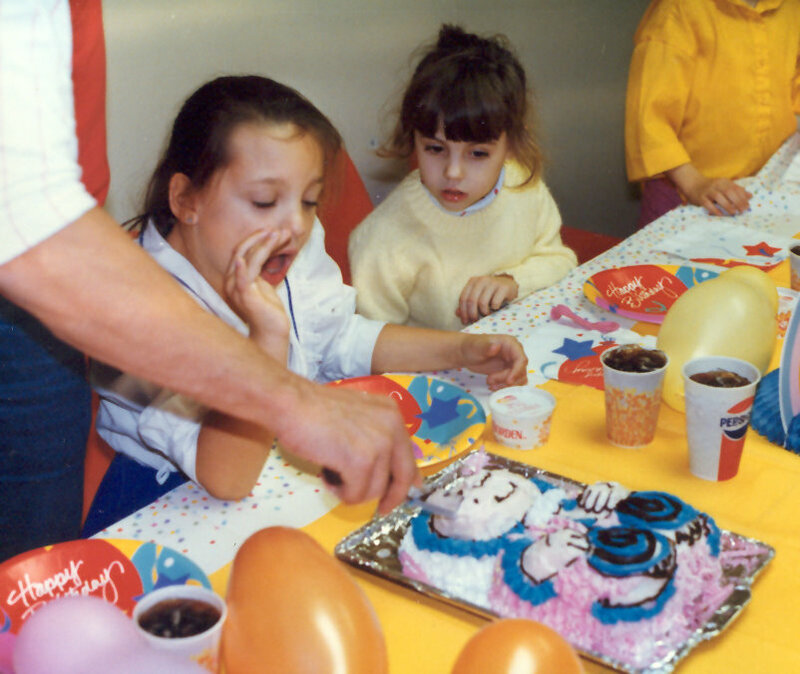 For me, birthdays have always been about friends. I share my birthday month with several friends, including my husband (12/9) and one of my good friends, Jennifer Brozek (also 12/9). I also share my actual birthday with a few friends. As a kid, I hated sharing the birthday, but as an adult, I love it! We’re having peppermint chocolate-chip bundt cake, which I’m looking forward to, and several friends over for gaming. (We also had friends over for gaming for Erik’s birthday on the 9th–a trend with us!) It’s a great way to enjoy turning 41. Besides being my birthday, today is also the start of my husband’s vacation. 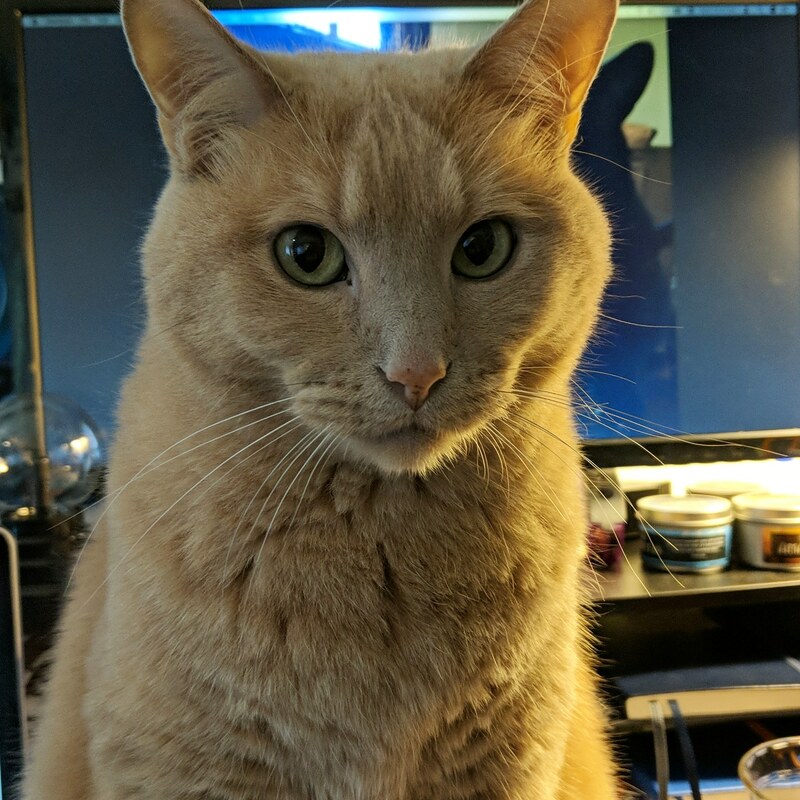 I’ll be taking time off with him for the holidays, so while a few queued up posts will hit this website throughout December, I won’t be around all that much as I’ll be spending time with friends and family. 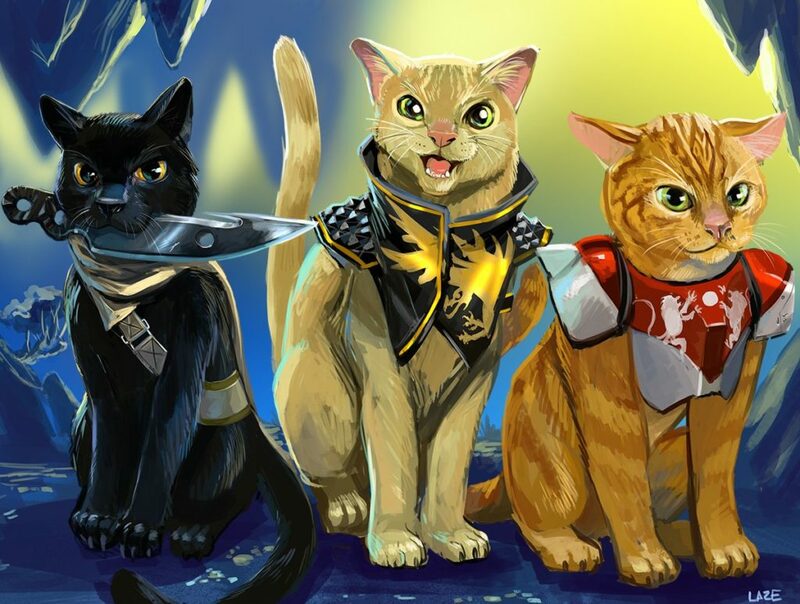 While I’m “away” on vacation, enjoy these festive kitties! 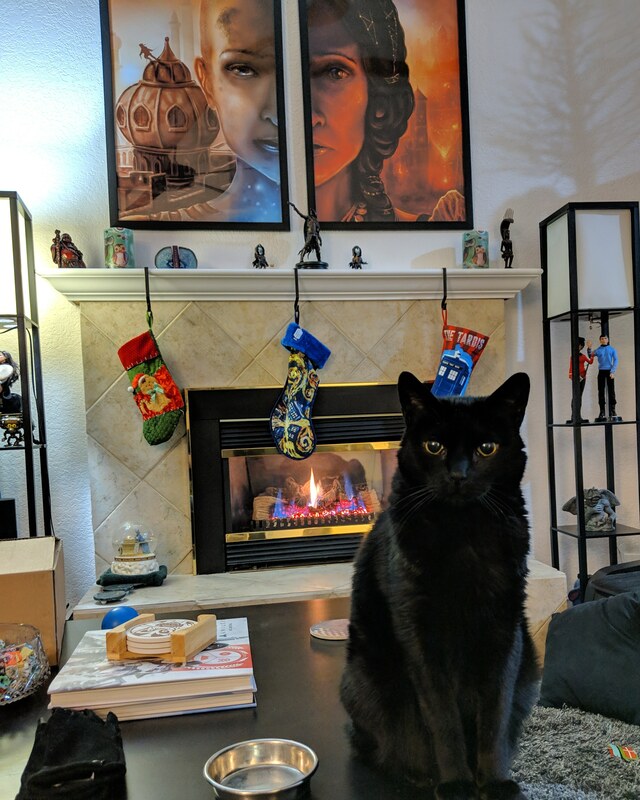 DiNozzo in front of the fire. 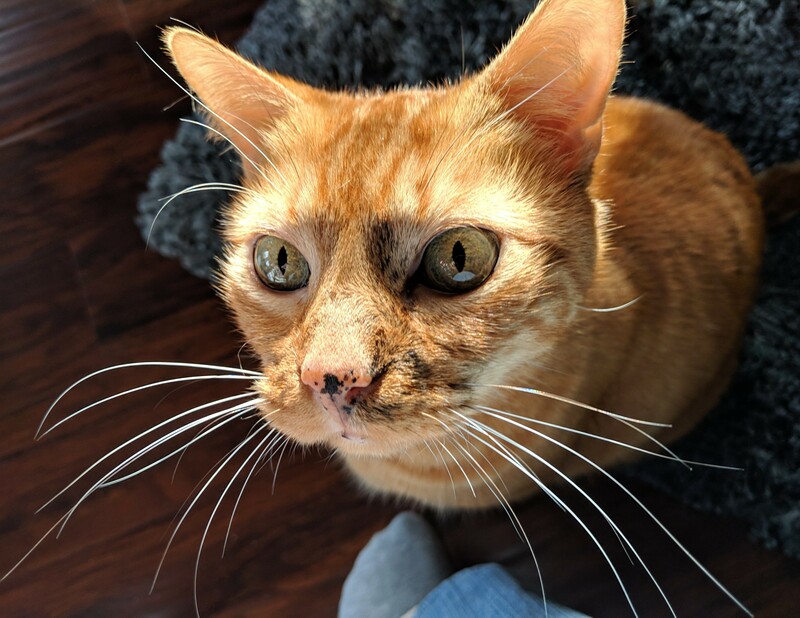 He loves winter because of the fireplace! This is not your typical Thanksgiving post! Because everybody I know with a website or a blog does one, and honestly, there are only so many folks you can read going on about what they’re thankful for or lying about what they wish they had before you’re ready to blow up the Internet. Or at least it can feel that way. So here’s the deal: I am privileged. I have much more than many, especially in light of the California wildfires and all the horrific bills/laws being passed to strip people of their rights. I am thankful for what I have and will use what I have to help others. That’s always been my goal and no Thanksgiving post will change that. Because I endeavor to speak with more than my voice and give thanks for what I have, especially when so few have it, if you find yourself needing a family this holiday season, I gladly invite you into mine. I can be the crazy aunt, sister, whatever you need. We can share some cat pictures over social media and laugh over them trying to steal the turkey, because you know they’re gonna try! And hey, if you don’t celebrate Thanksgiving, that’s alright too. You’re still a part of the family. P.S. I’ll start. Here’s Riley. Doesn’t this look like a cat who wants to steal the turkey? This past weekend was GeekGirlCon, one of my favorite conventions in the area. Besides supporting diversity and equality, it’s a great convention with attendees from all walks of life–all ages, all genders, all ethnicities, all sexualities. Here’s some closer shots of our awesome booth. I’m loving seeing my art at the booth. 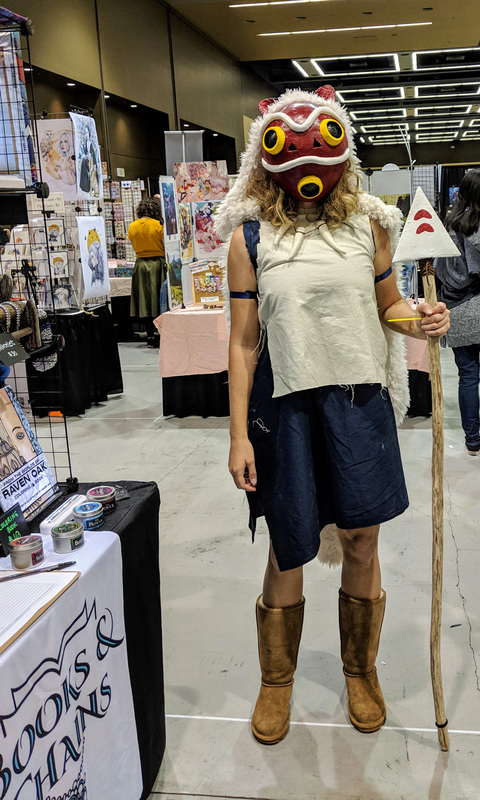 This cosplayer of Princess Mononoke was amazing. My first panel was on writing strong female characters, which was well attended. We discussed the problems with using language like “strong” and “female,” which can be subjective. I was supposed to be in the mentoring program and chat with folks interesting in entering STEM industries, but it conflicted with my panel schedule. It was a lot of fun last year, so I’m hoping I get to participate in 2019. 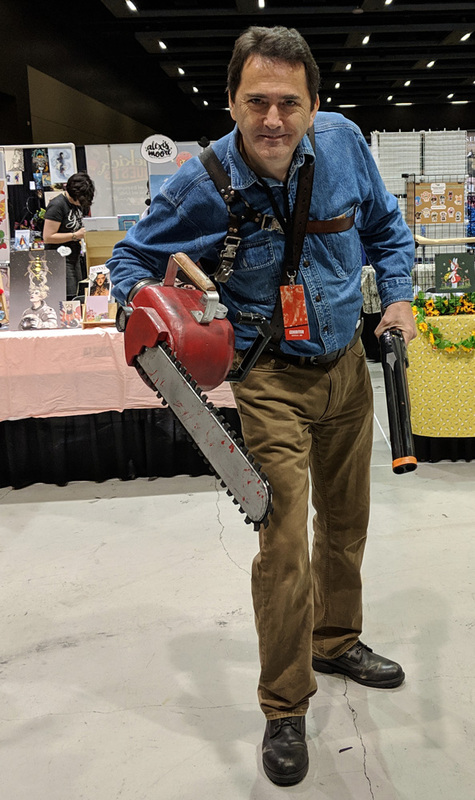 This Ash from Evil Dead was awesome. He even had Bruce’s voice down. 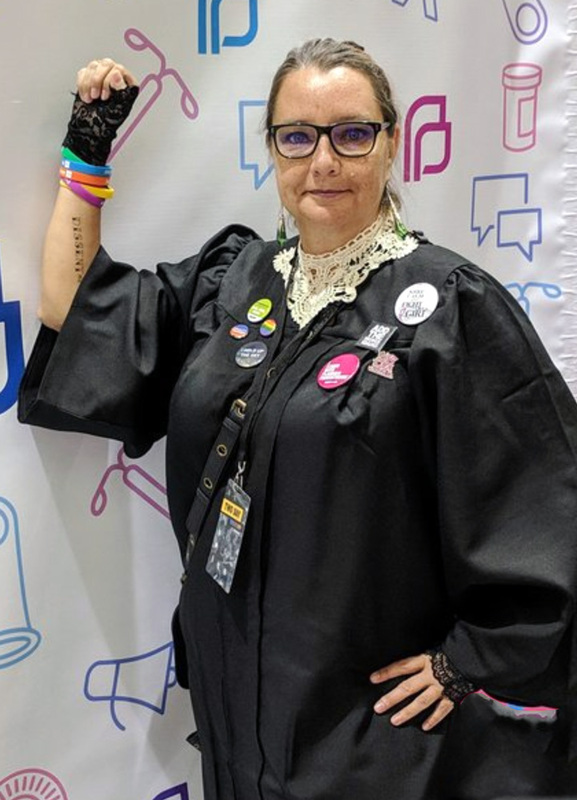 This woman was cosplaying Supreme Court Justice Ruth Bader Ginsburg. <3 Here’s a shot of our booth from behind the table. 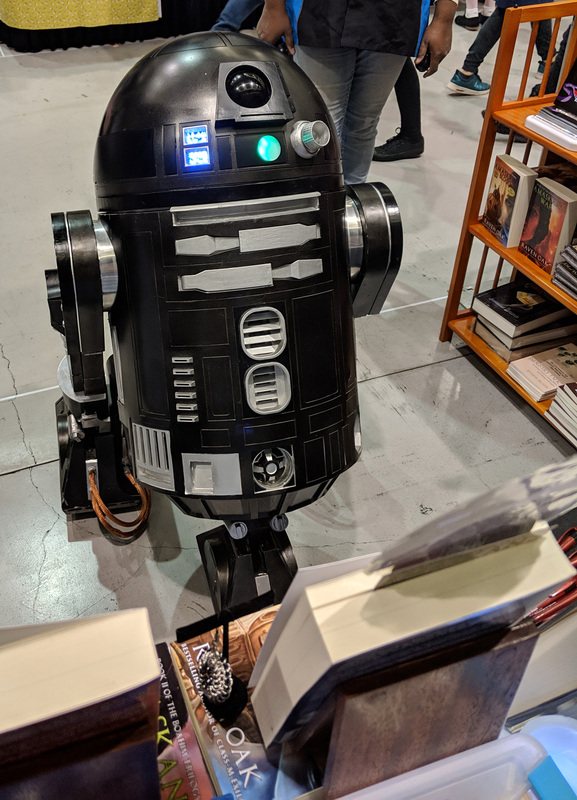 There were so many Star Wars‘ droids at the convention, including this one that stopped by our booth. 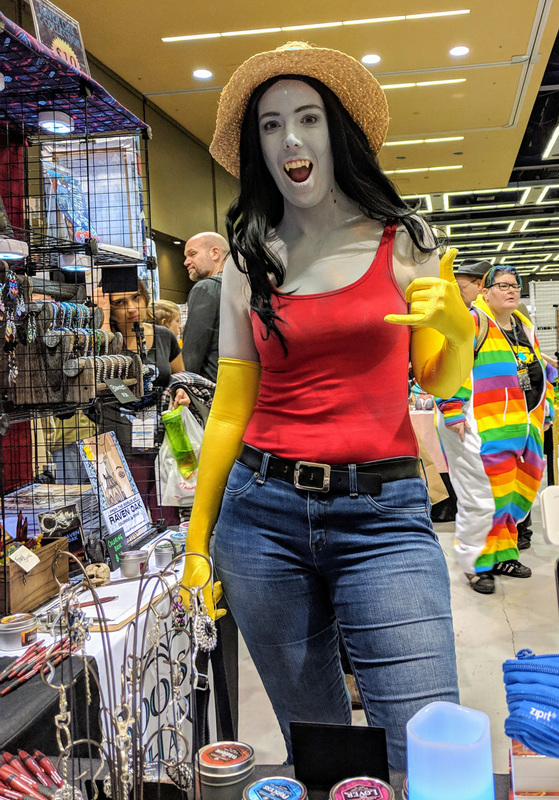 This cosplayer from Adventure Time forgot her guitar but loved chatting about chainmaille. On Saturday, I cosplayed as Totoro from the Miyazaki film Totoro. 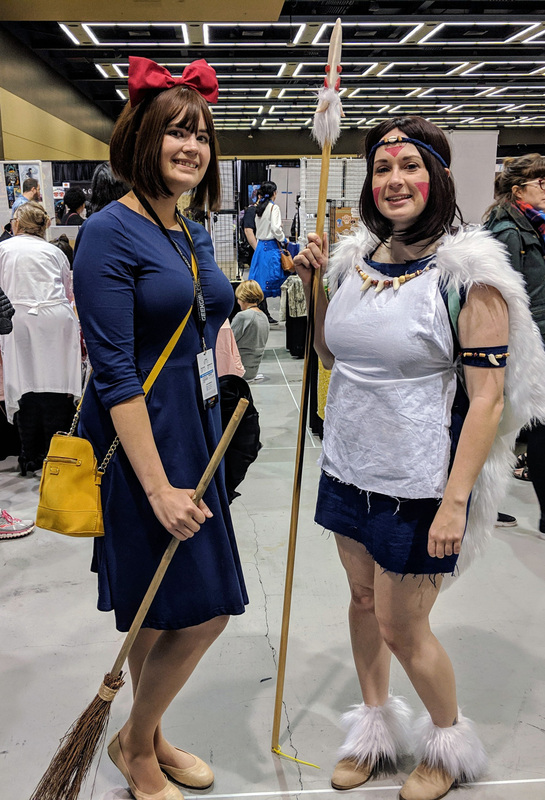 There were so many other folks cosplaying his films, including another Mononoke from Princess Mononoke and Kiki, from Kiki’s Delivery Service. My second panel was on Stranger Things and the lessons we can learn from its young characters. For a panel that late in the evening, it went fairly well. Sunday was an early morning (though let’s be honest–so was Saturday). 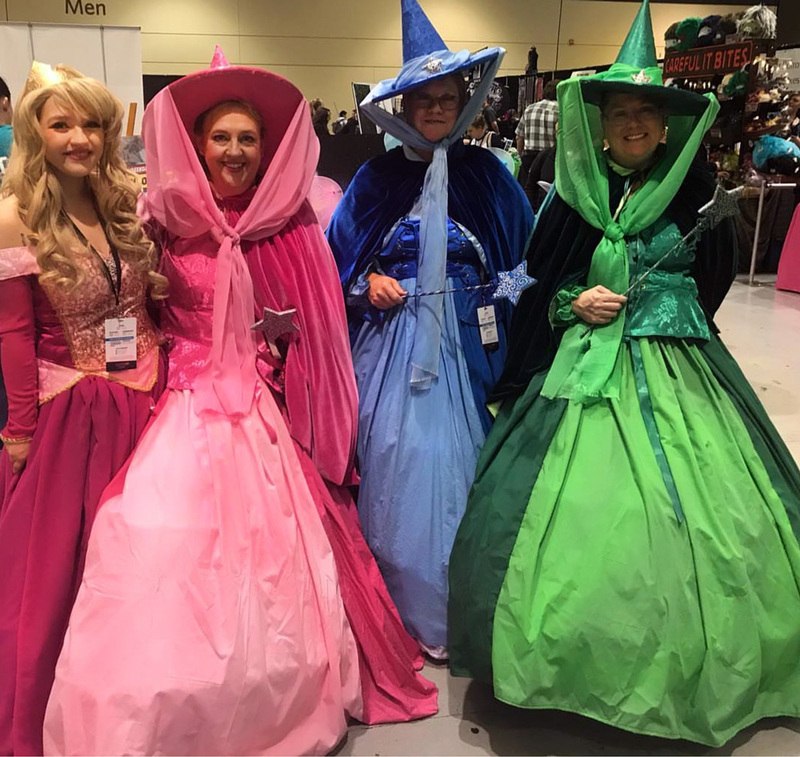 There were also plenty of Disney cosplayers at the convention, including these fairy godmothers. 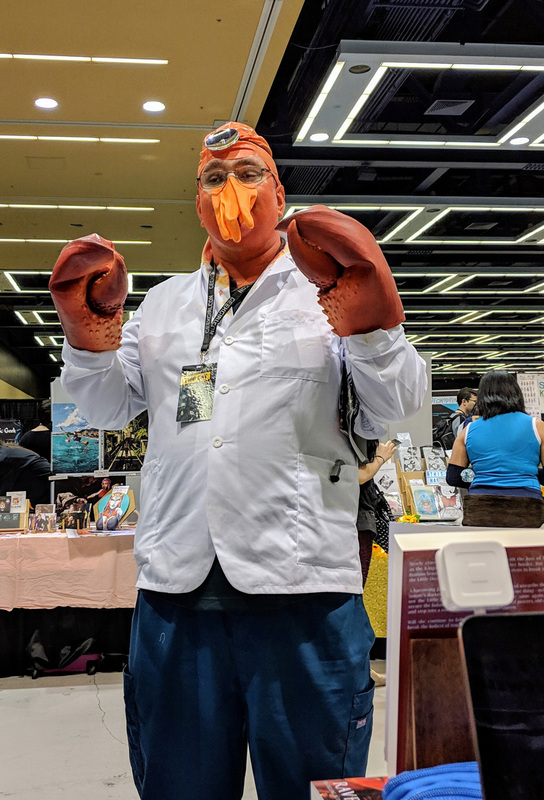 Of course, there’s also a Zoidberg. Always a Zoidberg. Sunday was so busy a day that I didn’t get a lot of pictures of all the cosplay. There was plenty of it to see too. Before I knew it, it was time to pack up. I grabbed this shot on the way home. 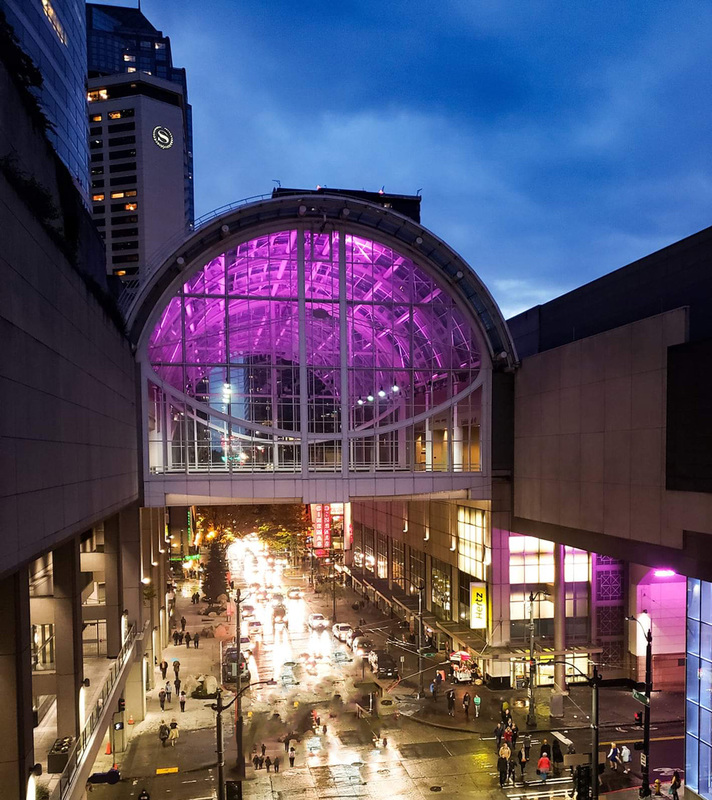 I love the way the Washington State Convention Center is lit up at night. My foot’s hurting quite a bit post-convention, but it’s slowly improving. Hopefully next year I won’t be injured! Now it’s time to finish some editing and write Amaskan’s Honor. No more conventions until next spring!